Most parents know what to do when their kids have routine symptoms, like a cough, runny nose, fever, diarrhea, or vomiting. They're not fun to deal with, but as you get to know your child, you get a sense of how they're feeling and what they need. But what do you do if those symptoms just don't go away? Is your child's chronic cough a sign that he has asthma or is he just getting one cold after another in daycare? Could your toddler have diarrhea for the past month because she has developed a lactose intolerance, does she have a lingering viral infection, or could it be a symptom of an infection with a parasite? 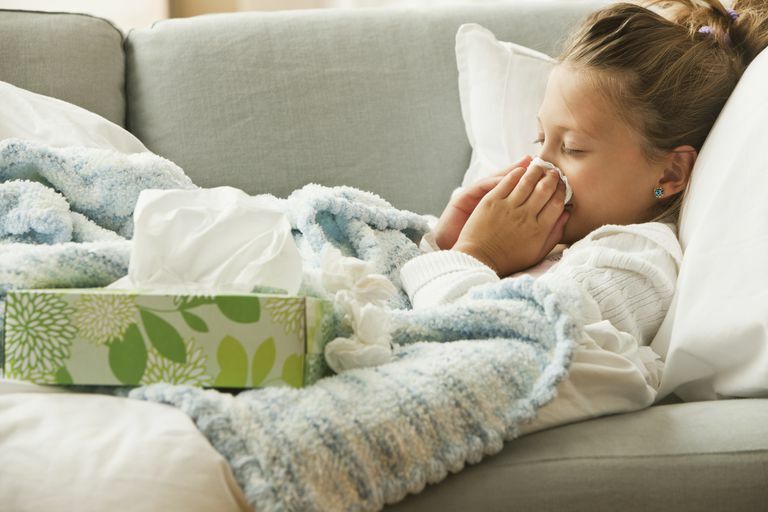 Here are some insights into figuring out why your child seems to be sick all the time. One of the most important first steps in evaluating a child with chronic symptoms is first determining if the symptoms have really become chronic. Unfortunately, many children get between six and eight upper respiratory tract infections a year, each of which can last up to two weeks, so just as your child gets over one infection, another quickly starts. A daily symptom diary can be a good way to record your child's symptoms and determine if his on-again, off again symptoms are really part of the same illness. For instance: If your child has had a cough for two months, but your symptom diary reveals two to three weeks of cough-free days in between each episode of having a runny nose and cough for a week and no other asthma symptoms, then it may just be that he is getting new colds over and over. Even if your child's symptoms do quickly go away each time he gets sick and aren't chronic, it can also be worrisome if they keep coming back. For example, if your child has croup more than three times a year and ends up in the emergency room each time, then that could be a sign that he really has asthma. Or if your child ends up with a stomach virus with vomiting every month, then maybe he has something like cyclic vomiting syndrome. In addition to understanding the pattern of your child's symptoms, it can help your pediatrician figure out what is wrong with your child if you provide as much information as possible at your visit. You'll want to bring the pediatrician up to speed on any exposure your child has had to other people with similar symptoms or any recent travel. What makes the symptoms subside, and what makes them worse? In addition to the primary symptoms, be able to describe any secondary symptoms, like fatigue or weight loss. Your child's pediatrician will also want to know about any dietary changes, a move to a new daycare, and even small things like a tick bite, a scratch by a kitten, or a visit to a petting zoo. And finally, does your child have a family history of related problems like allergies, asthma, inflammatory bowel disease, migraine headaches, or other chronic conditions? Keep in mind that it can be difficult to diagnose the cause of many of these chronic symptoms, especially a chronic cough. Although you would think it would be easy to diagnose a child with asthma, some children have cough variant asthma and don't wheeze and so are more difficult to recognize. An asthma test is also difficult to do on younger children, although a pediatric pulmonologist may be able to do pulmonary function tests on children under age 5. The best way to keep track of your child's symptoms is to pay close attention and be consistent about keeping track of things. The more information you can give your pediatrician, the better able he'll be to figure out if your child has a chronic illness, or is just prone to colds and coughs.